Livestrong, can it survive Lance Armstrong’s retirement and drug allegations? 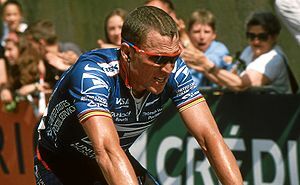 Lance Armstrong’s struggle through cancer and his redemptive return to win 7 Tour de France titles is legendary. What may not be as well known is what led to Livestrong or his undeniable thirst to help those in the ‘club’ – as he so affectionately refers to those battling through the effects of cancer. Through Lance’s personal triumph came a great deal of frustration following his cancer treatment and subsequent survival. The uncertainty of what comes after treatment. For those that have experienced the unfortunate difficulty of going through cancer treatment – it’s all to common to have a feeling of relief when the treatments finally end, however, what many do not anticipate is the fear and isolation that follows. Typically, following treatment, patients are sent off as if their prior lives will simply resume. The after effects, both physically and emotionally, are rarely addressed and can linger for quite some time. No matter how much is donated and spent on cancer research there is little effort or resources allocated to help patients through the emotional and physical tolls cancer and treatments render. It was this experience that led to developing a foundation to address the needs of those post treatment. It was his intent that the foundation would become the preeminent resource for those seeking and needing guidance following cancer treatment. Unsurprisingly, there was overwhelming acceptance in the community of both cancer patient and caregivers. However, after all the success and dedication could the foundation’s efforts be in jeopardy? According to Doug Ulman, CEO of Livestrong, the investigation into the allegations that Lance used performance-enhancing drugs during his Tour de France run has been frustrating. According to Ulman it’s been a distraction from their mission. He continues by saying that as long as he is not charged with a crime he will continue to be an effective ambassador and remains the most visible survivor and advocate for those faced with cancer. Nonetheless, during his ‘first’ retirement, albeit brief, Armstrong dove back in with as much gusto as the foundation could hope for. Armstrong aggressively lobbied politicians and citizens to support ‘Prop 15’, a bill to raise $3 billion for cancer research and patient advocacy for the state of Texas. Needless to say, Lance was once again victorious. Although Ulman has his worries, he is also quick to embrace Armstrong’s return to the foundation. Ulman realizes more than anyone that Lance brings more than just a face to the foundation. Armstrong is the brand identity behind Livestrong and has the ability to connect with those struggling through the tortures of cancer. Lance is more than a spokesperson but a ‘club’ member who doesn’t retreat in the throws of adversity; he confronts it head-on. The timing of his return could not be better. Although, the foundation has had a great deal of support and guidance it will be Lance who propels the foundation into the next stages. Whether the allegations are true or not and no matter the outcome, cancer patients and their caregivers will always look upon Lance as a symbol of hope that anything is possible. His reputation among cyclists would be tarnished for sure, but among those in the club, it will only be seen as another obstacle Lance will most undoubtedly conquer. You are currently reading Livestrong, can it survive Lance Armstrong’s retirement and drug allegations? at Fahrenheit Chronicles.